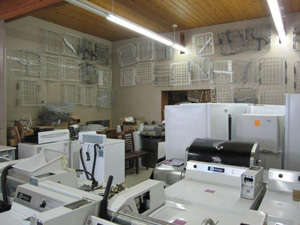 Absolute Appliance Repair has a variety of products to meet your appliance needs in every room of your home. Whether you need a small and simple fridge or a commercial size for a large employee break room, we have several refrigerators to choose from. We have white, black, or stainless steel finishes and designs with side by side or top and bottom fridge and freezer compartments, extra crisper drawers, and ice makers. Absolute Appliance Repair offers gas and electric stoves from several well-known brands. When you cook with our stoves, you’ll be saving money on your energy bills while using modern features, including digital timers and temperature gauges. We offer stand alone designs and stoves with an oven built-in underneath it, which is most popular. 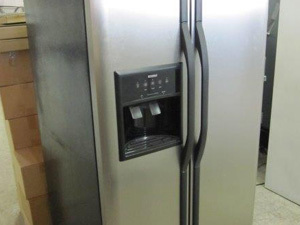 Absolute Appliance Repair also has separate deep freezers to choose from to store meat, game, and large quantities of perishable food. We have sizes from 3 to 20 cubic feet. All of our freezers are frost-free so there’s no risk of freezer burn. From small and portable cubes to large industrial sizes, we can accommodate any frozen food storage needs. Get your clothes cleaner than ever and save money on your water bill with a washer from Absolute Appliance Repair. We have top and front loading washers in sizes ranging from small residential models to large commercial washers. With top loading washers, you have the freedom to add laundry after the cycle has started and wash cycles are much shorter. A front loading washer can be stacked with a dryer to save space and adding steam to their cycles boost stain removal. We also have top and front loading dryers, made with energy efficient technology to save water and dry your clothes faster. Our stock includes dryers to match your washer or dryers that are completely different to meet your needs. We carry all the top name brands, both new and used. Absolute Appliance Repair also has dishwashers, including both portable and built-in models. We also have commercial sizes for restaurants and hotels. Save time and your hands by getting a dishwasher from our vast inventory. Absolute Appliance Repair provides professional dishwasher installation as well so your unit is ready to use the moment we leave after delivery. Absolute Appliance Repair also has window, wall, and central air conditioning units to meet the needs of your apartment or house. Window and wall units work well for small areas and for people that wish to control the temperature of each room independently. Central air conditioning is convenient and energy efficient even though it costs more to install. 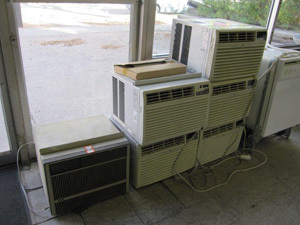 We also have used air conditioning units to save you money and help you achieve your cooling system goals.